Sundari Ma unterrichtet seit Mai 2016 nicht mehr bei Soma Yoga. Ihr Engagement und ihre Energie fließen in die Arbeit und Vision ihres Lehrers Igor ~ Vamadeva Kufayev und seine Organisation Flowing Wakefulness. 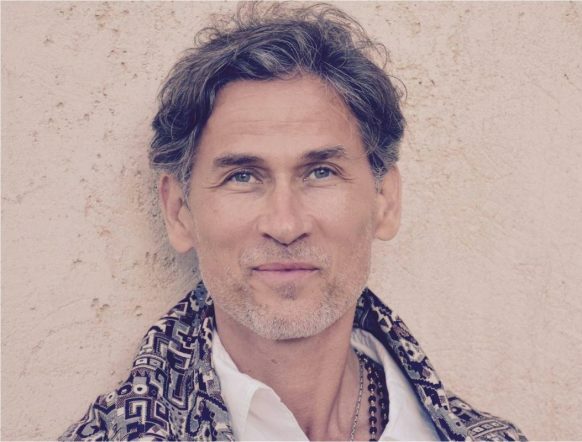 An Artist at heart, Advaita Tantra Teacher and founder of Flowing Wakefulness community, for over a decade Igor ~ Vamadeva has been serving as a conduit of transmission for awakening towards the new era of heart-centered consciousness. Speaking from direct realization of Oneness he inspires all seekers of truth to recognize the fullest potential present in human birth. Many have been touched by grace and awakened in his presence as he continues working towards building global community to serve as a container for exploring possibilities for alternative, consciousness-based culture. Dieses Angebot richtet sich an all diejenigen, die sich für die spirituelle Arbeit und den Herzens-Weg von Igor ~ Vamadeva interessieren als auch für diejenigen, die sich Begleitung auf dem Weg des Erwachens wünschen. The path of beauty is the path of the heart — the path of the heart is the path of Love. To recognize this path, let alone walk it, requires a pure Heart awakened to truth and beauty. Yet true beauty cannot be revealed, unless the all-consuming power of love absolves the autonomy of our individuality into the heart of Being. This path transcends heaven and earth, as it at once takes us to the highest abode, and into the deepest cavern of life’s mysteries. The Path of the Heart is not for the fainthearted — its power is sustained by that mighty offering kept alive through that Heart-to-Heart connection.